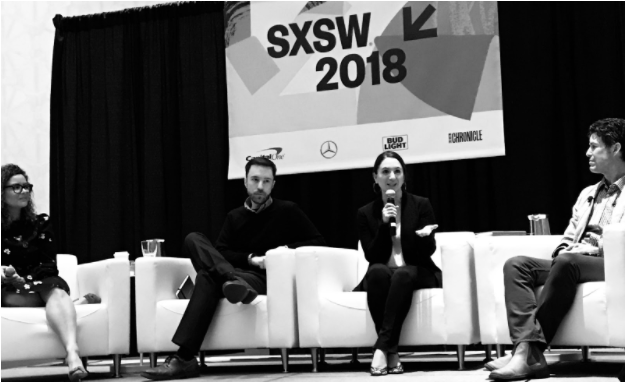 Oath's Business & Human Rights Program was at SXSW last week to talk about something that is at the heart of our business and our work: our consumers. Our session, Defending the Defenders, explored what it takes to build brands with human rights considerations in mind. I was joined by Peter Micek, General Counsel of AccessNow, Alexandria Walden, Free Expression and Human Rights Counsel at Google, and Michael Samway, adjunct professor at Georgetown University's School of Foreign Service. We discussed how the experiences of some of our most at-risk users (think a blogger who writes on government corruption in her home country or an activist who is fighting against injustice in his community) and the threats that these users are currently facing can inform decisions our business makes about the products and services we offer and how we communicate with consumers about what to expect when they interact with our products and services. One thing is clear: preserving free expression and privacy online is a complex exercise and takes long-term commitment, focused attention and diverse partnerships. The threats and challenges that exist are not static and neither can be our responses. The ability to collaborate and share ideas with human rights experts is useful in informing our approach. At Oath we're up to the challenge and we've built a foundation through our BHRP to allow us to think hard on these issues and follow up with action. Discussions like the one we had at SXSW this year are integral to that effort.